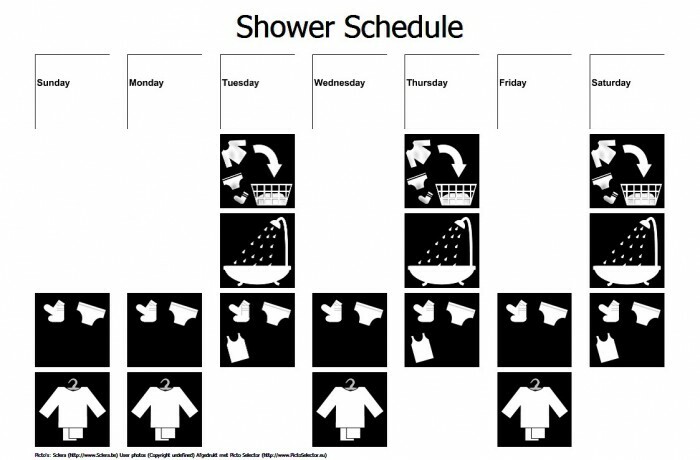 Which cloths should be changed and when a shower should be taken. By providing this information you no longer have to tell (and remember) this yourself. Just reference to a schedule like this. After a while your child will no longer need it to remember this repeating pattern.